Receive a detailed Horoscope Match Report – If you wish to receive a detailed horoscope match report, then here is your change. 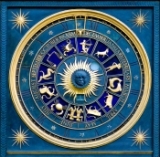 We have a talented group of Astrologers that will supply you with excellent service. On the web are many free tools available that provide horoscope matchvisitors with a match report between different people. At those sites the result is a computer generated report. You will understand that this can’t be accurate. Astrology is complicated and depends on many different factors, every report is different. Professional Custom Report – Our astrologers offer a professional manually written report, considering all the important details that are crucial for a accurate horoscope match report. This report will be specifically made for you based upon your input. You can ask for a horoscope match between you and current partner, friend, colleague or anyone you have an eye on! After making your payment, you will be directed to the Horoscope Match form in which you will fill out information required in order to get a good report. You will need to include your name, gender, age, and date of birth, as well as your astrological sign, relationship, as well as filling out any questions you have for the astrologers. This information will then be used for your astrologers to create the best personal report possible. 3.With this information our Astrologers will create specific Horoscope Report Reading for you! You will receive your report within 24hrs from now!